Researching blueprints is a commonly known ISK making enterprise and I clearly didn't invent hot water here. 4 months ago I started researching 10 Naglfar BPOs. 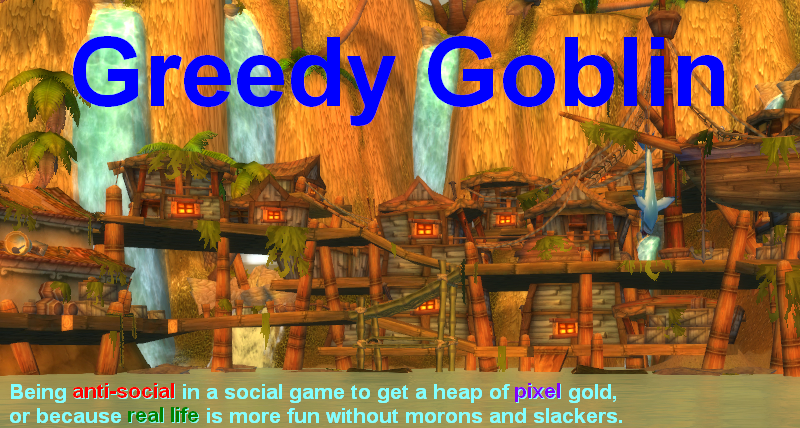 The unresearched BPOs are sold by NPCs for 1.8B. I researched 2 ME, 1 PE and put them on contracts in Jita for 2.8B. 4 already sold in 2 days, so I elevated their price a bit. Since I did the research in lowsec stations, I had no tower costs, risks or work. Practically I made 9B for a few jumps - and having 18B locked down for 4 months. 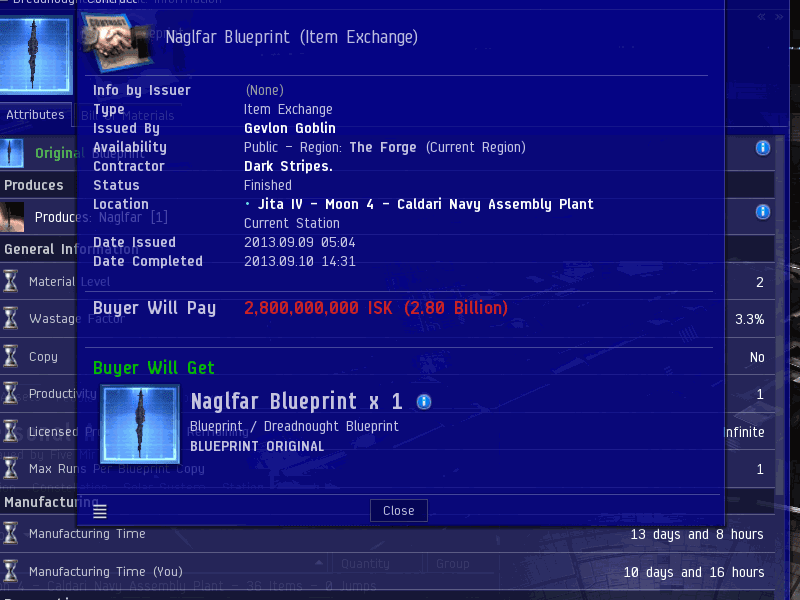 The other Dreadnought blueprints are also profitable, though less. You can get 700M for researching Revelation and Moros and 500M for Phoenix. It seems the expensive blueprint research isn't that competitive market so you can join. While the profit in ISK is large, the profit/capital is low, mere 10%/month, while Catalyst blueprints get 100%/month profit, granted only 30M/month net income instead of 250. So if you have lot of ISK lying around and you want to turn it into more ISK slowly but surely, maybe the research of expensive blueprints is for you. Yesterday I did a good deed: after ganking a miner, but failing to kill the pod due to swift Concord intervention, I noticed that the pod is still there. It happens with AFK miners, many of them lost their pods after floating in space for 15 minutes. But this one did not float: after some time he started orbiting the same rock he was orbiting while having his ship. So I reported him as bot. The customer support told that bot reports should be done using an in-game tool: "open the character’s show info window and in the top left corner, right-click to bring up a drop down menu. At the bottom of that menu is the option to report the character as a bot. Simply click that button and once submitted, our team will investigate that character more thoroughly and determine if they are in fact using scripts to play EVE.". If you see a bot, please do the same, we don't need them here. Significant improvement made on the dual-ganking guide, I designed a new dual (and fleet) ganking method that greatly increases your chances to get the podkill in narrow situations. It also helps you keep your pod and maybe even some ships if you rin into a trap. "traveling in a mack", so he wasn't mining? One common market, and I'd be interested to hear your thoughts, is to own researched BPOs for all capital components plus the capital ship itself, and sell BPC "packs" which have all the BPCs necessary to assemble the ship. but do you think such a venture would be a profitable one? I doubt that people building capital ships are severely inconvenienced by having to track down the blueprints for individual pieces. Therefore i don't see the proposed venture generating significant margins. Definitely not enough to justify tying down the resources. A lot of people in 0.0 have the skills to build their new capital, and the material, but do not want to tie down their resources for BPOs on a single build. These are the individuals who buy BPC kits. It tends to be individuals making capital ships for personal use that buy packs. It can be cheaper than buying one from the market, and can be a LOT easier than shipping the whole ship or capital parts out to a remote location. Think about ship type though. A ship with jump capability is less likely to be required that say, a freighter, since you could build a carrier in low, then jump it to where it's needed. I've bought BPC packs/kits before. Like when I needed to build one Orca, or more recently, to build one carrier. Generally, I'm only building replacement ships - not going into business making them. I can't fly them, and we're several jumps from lowsec. The sort of folks purchasing the capital ship BPO tend to be folks who have all of the Capital parts BPO for making others. So they might have a Moros BPO and now want to expand into making Naglfars, so they need to add a new BPO. Someday I'll be there, but for now, the better solution for my corp and myself is bpc kits/packs. Dude I'm just waiting to see what happens when you realize you can wardec people. Because me paying money for wardec while miners stay docked is hilarious. That you think miners unilaterally dock up during a wardec is hilarious. "We dec because we care"...Teaching miners to not AFK mine during wardecs, and haulers to not fly AFK during wardecs could be your next attempt at altruism, or something.